The world's largest chipmaker sees massive opportunities in IoT. Intel Free Press interviews Rose Schooler, head of Intel's Internet of Things Group. 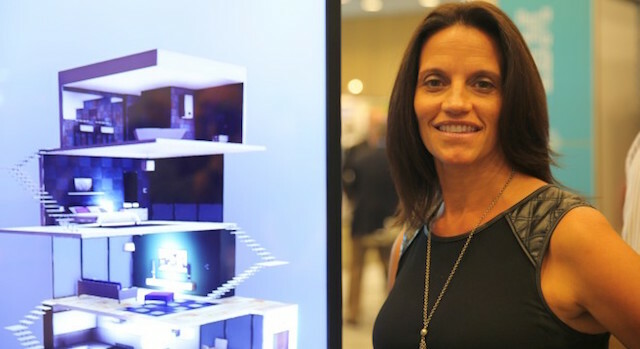 With the chance to connect “sensors to the cloud in every industry on the planet,” Rose Schooler, vice president of the Internet of Things Group at Intel, says the Internet of Things (IoT) opportunity is massive. But interoperability, along with provisioning and managing these devices, are critical factors for success. Her organization is responsible for delivering platforms for the networking and storage market segments as well as providing solutions for telecommunications service providers. With so many emerging technologies and opportunities in IoT, how will everything be able to talk to each other? When you look at how massive this IoT opportunity is, it’s literally sensor to cloud in every industry on the planet. So you are trying to create an über horizontal platform and the über scale experience. You are not going to get 100 percent of that. You are still going to have some uniqueness at the sensor, you are going to have some uniqueness at the application. But everybody looks at that opportunity and says if it were a bingo card, I can play ‘cover all’. I have got to figure out if I’m going to go for a postage stamp or if I’m going to try and get regular bingo. As people do that, they say ‘if I’m going to try to do that and get a regular bingo, then if I’m going to fill out the rest of the card, I’m going to need the rest of the ecosystem to do so’. I do believe that there is still some room for improvement, on isolating and identifying and pulling together the critical set of standards bodies – there are a million of them right now and we need to start focusing on the ones that are really going to drive the industry forward and accelerate the opportunity. What recommendations would you have for developers who want to get into the IoT space? This is generic but pretty important. You have got to focus on some kind of end user interest or problem. You have to either improve the way they live, you have to help them save money or make money or improve customer experience. And I think if you start with those kind of basic end-user tenets, and build your solution based on solving a problem in that domain, I think that is step one. Step two is then how do you leverage whatever is available that is out there that is horizontal, that is scalable, and somewhat open source – because the more open, the more interoperable, the more industry validation has been done of the interfaces, I would look to not stand up something that’s very vertical or very proprietary, but look to see what you can do with what is open standards-based, horizontal platforms. What’s needed for successful IoT solutions? You have to create ease-of-use and scalability from the sensor to the gateway to the network to the cloud, and have the ability to run analytics either on the edge or in the data center. I don’t think that one takes precedence over the other, though I would say that if you can’t connect the device, you are kind of stopped in your tracks there. Is there one area that is of more importance for developers? The ability to have devices connect to the network seamlessly, support multiple protocols, and easily ingest data off of the things – I wouldn’t call more important – but I would call ‘step one’ in the evolution of enabling IoT solutions. And then once you can connect that device, identify it, provision it, and manage it you can also look at how security is a critical foundational element from sensor to gateway to network to cloud. You need to be able to harden the device, secure the data transmission, and make sure you are monitoring and managing in real-time your security performance throughout your end-to-end solution. What have you seen from IoT that excites you? Some of the initial adoption pilots or use cases that you see are around how people are transforming their businesses, how are they becoming more efficient with their utilization of their assets, and I think those are great use cases. But what really excites me emotionally is how IoT can help solve some of the big global challenges that we see in front of us today, around the fact that if we look ahead at a population of 10 billion people in 2040, we are going to need to produce 70 percent more food than we produce today, we are going to consume 56 percent more energy, we are going to have a much bigger set of carbon dioxide emissions. What is Intel doing in this space? From a solution perspective [Intel] is trying to cover the bingo card. But we aren’t going to be the ones that provide all of the chips. We are going to have to go for help. Intel has an unsurpassed, scalable silicon story. When you look ahead from Curie to Quark to Atom to Core to Xeon, we have the most comprehensive silicon portfolio in the industry. Add to that the software assets we get from McAfee and Wind River, and a strong interest and desire to extend security both in silicon and software from sensor to cloud. In addition to that, we have a history of defining platforms that deliver scale. We have a history of building ecosystems and we have a history of standing up use cases quickly where we can iterate and learn repeatedly.